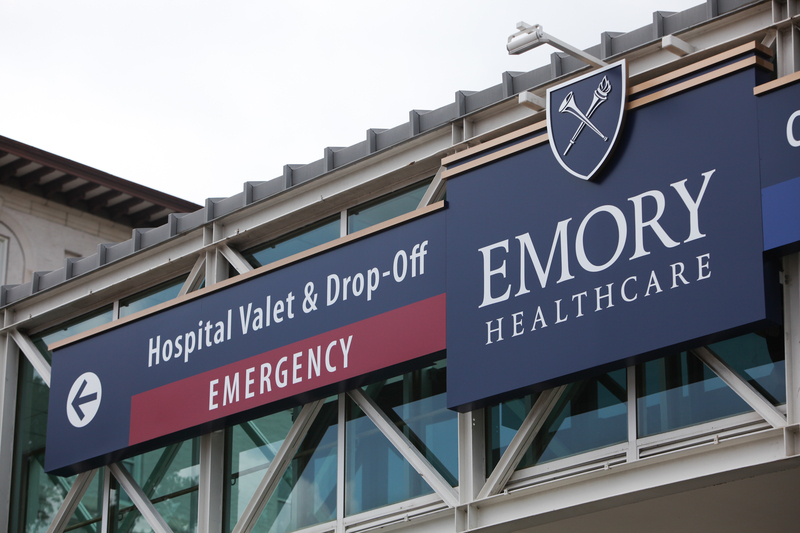 On Saturday afternoon, the first of two American Ebola patients being flown into the U.S. from Liberia, landed in Atlanta to be treated at Emory University Hospital. Dr. Kent Brantley is believed to be the first patient ever to be treated for the disease in the United States. But don't worry: The as-yet-incurable virus's mere presence in the U.S. doesn't by any measure mean that we're about to have an outbreak. In fact, it's actually really hard for the virus to spread under the stringent conditions imposed at the hospital, which is near the headquarters of the Centers for Disease Control and Prevention. Yeah, they know what they're talking about. Brantley and his colleague Nancy Writebol, another American aid worker who will return "within the next few days," weren't flown in for some kind of miracle treatment not available in Liberia. In fact, doctors say, it was because they are American citizens who "deserve to have the highest level of care offered for their treatment," infectious-disease specialist Dr. Bruce S. Ribner told the New York Times. That treatment will simply involve keeping the patients alive by maintaining their vital functions, hoping that the body, once it has help with the basic functions of life, will fight back against the virus on its own. For people concerned about Ebola coming to America, it doesn’t spread easily and if a hospital that has a patient uses rigorous infection control procedures there is no danger of spread to others. The healthcare workers and other caregivers like family members are the ones who need to be especially careful to get training and personal protective equipment in infection control. Dr. Margaret Chan, director-general of the World Health Organization, delivered remarks on Friday to the presidents of countries currently experiencing outbreaks. She emphasized that much of the outbreak in those countries right now can be chalked up to people hiding their own or their relatives' condition from doctors until it's too late. Since the cases in the U.S. are clearly already being treated, an outbreak isn't suddenly going to strike Atlanta. This is not just a medical or public health problem. It is a social problem. Deep-seated beliefs and cultural practices are a significant cause of further spread and a significant barrier to rapid and effective containment. This social dimension must also be addressed as an integral part of the overall response. … In some areas, chains of transmission have moved underground. They are invisible. They are not being reported. Because of the high fatality rate, many people in affected areas associate isolation wards with a sure death sentence, and prefer to care for loved ones in homes or seek assistance from traditional healers. In remarks on Wednesday, Dr. Peter Piot, who helped discover Ebola and currently leads the London School of Hygiene and Tropical Medicine, explained that even being in the same room as someone with Ebola isn't enough to catch it. I don't think that will give rise to a major epidemic. … Spreading in the population here, I'm not that worried about it. I wouldn't be worried to sit next to someone with Ebola virus on the Tube as long as they don't vomit on you or something. This is an infection that requires very close contact. After the American patients' impending evacuation was announced on Friday, Atlanta residents began to worry about the virus's mere presence in their hometown. But Dr. Anthony Fauci, director of the National Institute of Allergy and Infections Diseases, quelled fears by explaining that when the disease is contained in such an advanced hospital, there's nothing to worry about. Really. Given the health care infrastructure and our ability to isolate people who are infected and to take care of them with the proper protective equipment, it is extraordinarily unlikely that there would be an outbreak in the United States so people should not worry. It’s the lack of health care infrastructure that leads to the problems. Don't worry. This isn't Pandemic. Just be sure to wash your hands.